Cisco AnyConnect is the best security option from Cisco. The new version of Cisco AnyConnect Secure Mobility Client 4.5, the new version empowers users to work from any part of the world, on any computer or personal device. AnyConnect creates secure endpoint access and makes your organization secure and protected. Technically speaking it’s a virtual private network available for a variety of configuration and OS. 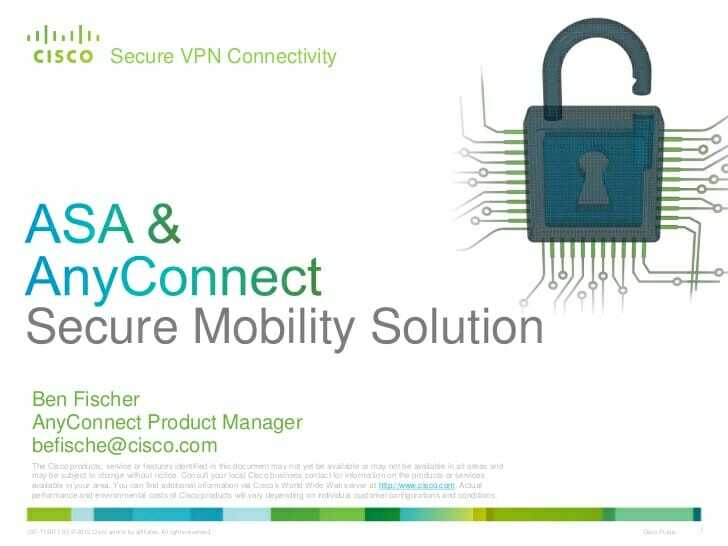 Cisco AnyConnect Secure Mobility Client works in Windows, Mac OS X, and even in Linux. AnyConnect is way better than the previous Cisco VPN client. As the older version only supported the IPsec VPN option. AnyConnect VPN connection provides security which is very useful when using public networks and internet hot spots to get work done. VPN component lets end users control choices for reconnecting the VPN automatically when the connection drops. Cisco AnyConnect secure mobility client also lets local network access during non-split tunnel sessions and also blocks connections to unknown servers. There is also a mobile app variant of this tool, which can be downloaded for free o iOS, Android and also Amazon’s App store. This software empowers users to access the enterprise network anytime from anywhere, with any device. This software is not only suitable for users but also increases the work productivity over a short period of time. AnyConnect provides services that can be deployed to the most used device in today’s workforce. Administrators need an end to end user productivity. It’ll happen only by providing mobile devices with remote access to the company network. Mobile devices with remote access can be provided either by device-based or through VPN. It needs to prevent the unauthorized application from accessing the confidential resources. Which, as a result, reduces the risks of malware. Cisco AnyConnect VPN client uses two kinds of web security. First is On-premise Cisco Web Security Appliance and the other cloud-based cloud web security offering. Combining both kinds of web security with VPN access and administrators, a highly secure end to end mobility is created which is vital to bring various deployments. To use Cisco AnyConnect Secure Mobility Client, you need to install the software and also configure a profile for every server connection. To work, the profiles need server-side VPN support. Universities and businesses pack in pre-configured profiles as a component of their software installation packages. You would require JAVA before installing AnyConnect as the VPN client runs on Java platform. To start afresh VPN session, you must choose a profile from the catalog and hit the connect button. You would then be asked to provide your login credentials to complete the authentication process. 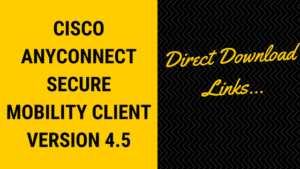 There is no user configuration required, It’s easy to run Cisco AnyConnect VPN client. When you install the client, it will come in your all programs menu in windows or in the status bar. Just double-click the icon on the status bar to pull up the application. Enter the VPN server URL and click Connect. This will connect you to the VPN server. Now you will be able to browse the resources shared in the remote network.